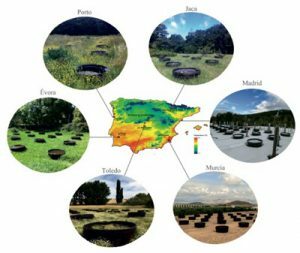 192 mesocosms deployed across six regions. 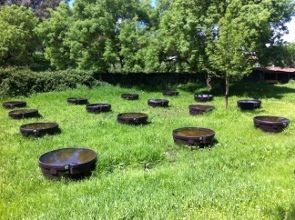 The mesocosms consist of 1000-L tanks that mimic small ponds. 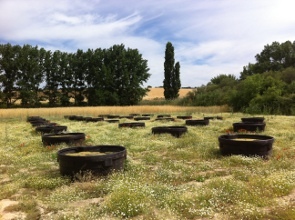 In each location, there are 32 mesocosms installed ca. 3-5 meters apart. Water volume, temperature, chlorophyll, turbidity, pH, oxygen, methane.